When you go to a store you can safely assume a few things: that there is a checkout line and that it will not be hard to find. Online shopping, on the other hand, does not always have these given assumptions and Shoppable is looking to change this. Their universal checkout technology is paving the way for a more simplified online shopping experience as well as an easier selling experience. Shoppable is looking to make the whole Internet “shoppable”; making our lives a whole lot easier in the process. Today we sit down with with CEO Heather Marie to chat about the startup’s most recent round of funding and future plans. 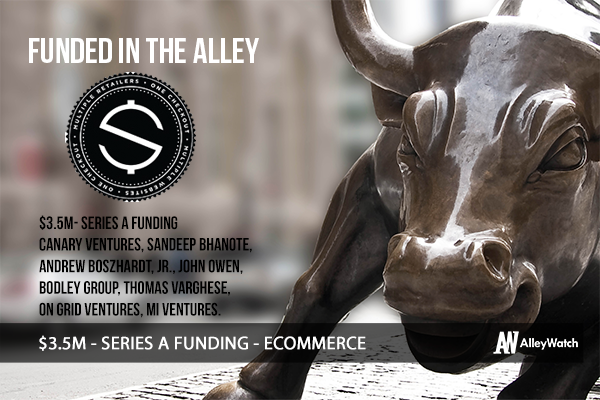 We raised $3.5M in our Series A round. Shoppable is a marketplace with patent-pending universal checkout technology that we license to publishers, advertisers, brands, and blogs to provide an affiliate commerce business but with the increasingly important benefit of access to the marketing data. I started Shoppable because I was frustrated with the lack of simplicity in online shopping, but the company took on a form of its own as we continued to grow. Shoppable has become what it is today because of market demand. Since Shoppable was the first to create the technology in the space, we opened several doors early on and we worked with our clients from inception to design and development of a product which digital publishers and bloggers had been trying to find for years. Affiliate marketing is projected to grow to more than $6.8B by 2020 according to Forrester. We’re a SaaS business with commissions on sales. How has your company’s experience with 500 Startups shaped its trajectory? 500Startups was an incredible experience but one of the biggest value is the 500Startup network and private forums with years of founder and advisors’ advice. The network has absolutely provided numerous opportunities, introductions, and advice on best practices. This round was interesting because we had a conscious intention to focus on sales and profitability when the opportunity from a strategic investor presented itself. Our round was led by a strategic investor and partner which we’ll announce soon. We’ll add millions of additional product SKUs to our marketplace hitting a goal of 30 million in 2016. We’ll also start to expand internationally in Q4. You don’t need to raise from investors to grow. My advice is to focus on revenue. Make sure the entire company knows the #1 goal is revenue and make sure that everything they are doing is aligned with that goal. We’re very focused on expanding our distribution, including launching internationally, and catching up on the wait list of merchants to join the Shoppable marketplace. Loopty Doopty in Battery Park or Smith & Mills in Tribeca are my favorite spots in the summer. Rose Bar is one of my favorite places when the weather starts to get cool.